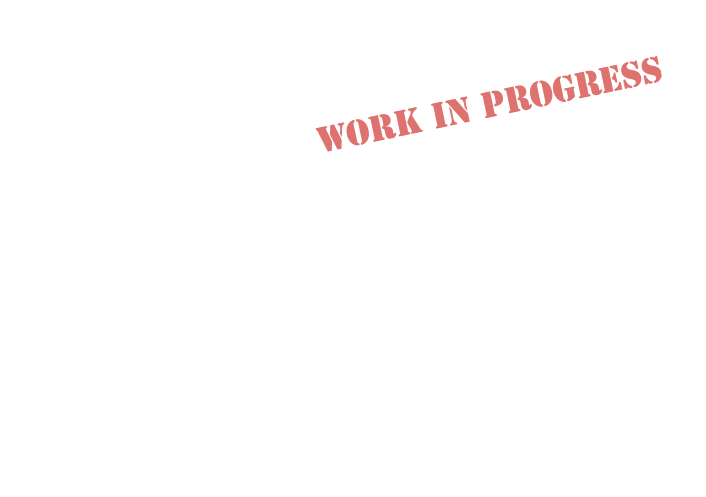 The TreeRadar system emerged as a result of 5 years dedicated research and development. The current system provides the user with an excellent non-invasive technique to detect and evaluate internal decay in tree stems and, perhaps even more importantly, identify and locate tree roots. The importance and complexity of this development should not be underestimated. An algorithm has been created that improves the detection of the boundary between incipient (early-stage) decay and solid wood, even in the absence of a hollow (total decay). 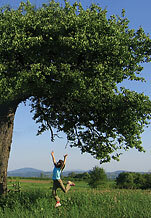 According to literature sources, up to 80% of wood strength can be lost when incipient decay exists. Comparison of felled trees and tree coring samples to predicted internal conditions have shown good agreement between predicted and actual conditions. A number of TRU users have requested a means for showing the depth of detected roots in the top-down image. A color palette showing the depth in discrete depth ranges will shortly be an added feature. The top-down (plan view) 3D root layout and density maps have been shown as a collection of dots indicating the location and depth (coordinates) of each detected root. Many of our customers have requested that the dots be connected so that it is easier to visualize the root structure. An algorithm has been developed that connects-the-dots automatically so that the top-down map truly looks like a root morphology map. This “virtual excavation” is now operational. 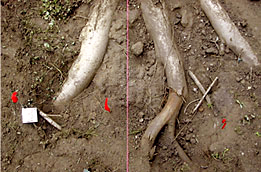 Some of the factors that distinguish roots from other regular subsurface reflectors such as pipes include: change in direction as they increase in distance from the stem, merge with other roots, split into two or more branches, intertwine with branches from other roots of the same tree or roots close-by trees, etc. Additionally, the issue of distinguishing clusters of small diameter roots from a single large root is involved. Root diameter estimation is a difficult problem and the university research effort, along with data provided to TreeRadar from its TRU system owners using air spades to excavate portions of scanned surfaces, will help to identify these factors that create complex reflected signals and, ultimately, lead to algorithms that can cope with these signal factors. TreeRadar is presently working as part of a research team with a major US western university that is funded to study how ground-penetrating radar, in general, and the TRU system, in particular, can devise ways to estimate root diameter. This is a very difficult task because roots bear no resemblance to regular underground structures, such as pipes, that are of a usually constant diameter, depth and orientation. 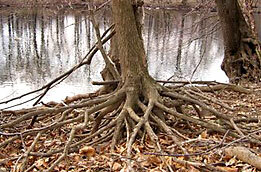 Roots do not necessarily become smaller as they radiate out from the stem nor do they grow in a regular way. This is probably the most customer requested feature to be added to the analysis software package. In theory it is possible to predict which roots are likely to be decayed but, understandably, much practical proving work is required prior to the general release of this feature. Data obtained from the same studies described above for determining root diameter will also be used to develop algorithms for predicting the probability of root decay. TreeRadar's goal is to establish the probability (likelihood) of root decay at different distances from the stem and to show this in a color contour map format.